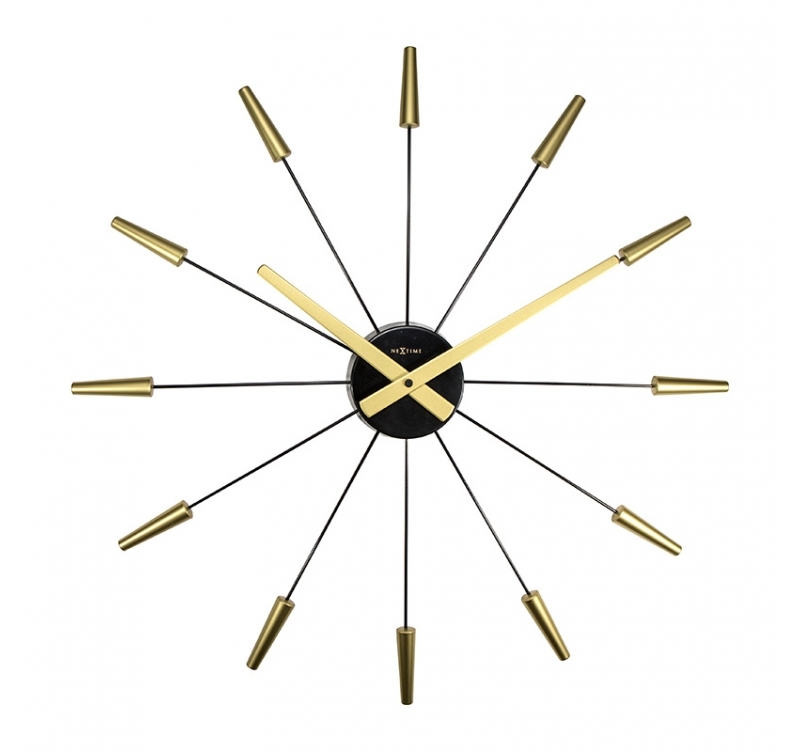 For your design interior decoration choose this contemporary wall clock ! Its refined design goes for the essential and its golden colour matches all the present trendy colours. The dimensions of this wall clock are 58 cm in diameter. Free 48/72 h delivery in metropolitan France and Belgium for this elegant design clock. This large wall clock is very decorative thanks to its sober style. The hours are shown by black stainless steel very fine hands radiating from the black central mechanism that will help you hang up your original wall clock. The golden hands are highlighted by the mechanism and the black hands making this wall clock chic and elegant. Discreet and modern deco object, this modern wall large clock will perfectly match any style of decoration, be it classic or design. This original clock can also be found multi-coloured, silver and black. All our wall clocks are fitted with a quartz movement and work on standard batteries (not included).